Today’s autonomous community of Catalonia is located in the northeast of the Iberian Peninsula. The historical region covers 31962 square kilometers. To the north it borders France and Andorra, in the East to the Mediterranean Sea, in the south to Valencia and to the west by Aragon. But before this came to be, a lot has happened! Different eras and cultures have dominated the region and left their mark. 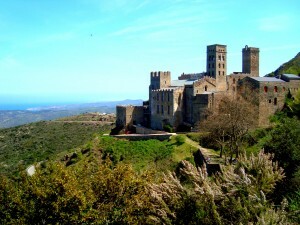 Castles and villages developed, the wine and olives reached Catalonia and different people, governments and wars changed the laws and customs. It pays to learn a little more! The first written testimonies on the territory of today’s Catalonia date from the time before about 1000 BC by the Phoenicians and Greeks. The Phoenicians then populated the Eastern Mediterranean and tried to prevent the spread of the Greeks, for these reached the Iberian Peninsula shortly after them. In the 5th and 4th century BC, after many battles, the Gaul immigrant Celts fused with the Iberians to form the Celtiberian. One of their most important cities was Barcino (Barcelona). In 201 BC the Romans conquered the country. Especially on the Catalan coast wine was grown and sold. In 19 AD the area became the Roman province “Hispana Tarraconensis”. In the year 476 AD, the social structures dissolved gradually with the demise of the Western Roman Empire. The Visigoth kingdom, which already includes Catalonia, became virtually independent. They declared Barcelona to be the capital and integrated Catalonia in the kingdom of Toledo. In 711 AD began the invasion of the Muslim Moors (Arabs and Berbers from the present Morocco) and tried to conquer Catalonia. The first Muslim settlers were Nomads, which is why they only succeeded to subdue most places in the 9th century, when they settled down. In 801 Charlemagne founded the Spanish Mark, a political – military border region of the Frankish Empire in the Iberian Peninsula, to defend the borders against the Moors. From the beginning of the 11th century, infighting led to the decline of the caliphate of Córdoba. After the death of the last Caliph Hisham III began the time of the Taifa Kingdoms in 1013. The Catalan counties adjoined the Taifa of Zaragoza, Leida and Tortosa. In these there ruled the local nobility and the Catalan shires bought themselves a peaceful coexistence by paying duties. Gradually, Catalonia was recaptured, the conquered territories were shared among the nobility and the Church and the Moorish population was expelled. In 987 the county of Catalonia was officially founded and remained an independent state until 1162, when it combined with the crown of Aragon. Since Aragon had no successor to the throne it united with Castile in 1516. In 1492 Catalonia’s economic decline began. It was then that Columbus discovered America and that the marine trade shifted to the Atlantic coast. In the following centuries, the economic situation continued to deteriorate in Catalonia. In 1701-1714 the Catalans took on the side of the Austrians in the “War of the Spanish Succession”. However, these were trounced by the confederate states of Castile and France. As a punishment, the independence of large parts of the land was taken. The Catalan rights were suspended and the Catalan language was banned. In 1778 the economic situation eased off as Catalonia was now able to trade with America without any restrictions. 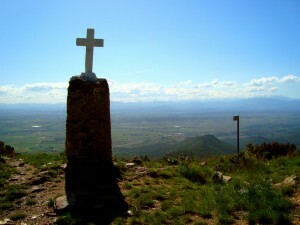 Within a century Catalonia gained its economic meaning back and the area became the wealthiest of the Iberian Peninsula. Thus, the Catalan national pride and a number of returns were awakened again. Catalonia experienced a period of prosperity. The art direction of “Modernism” was created with its cultural center having been in Barcelona (eg. Antoni Gaudí i Cornet / La Sagrada Familia). In 1906 the first Congress of the Catalan language was held in Barcelona. In 1932, after the overthrow of the monarchy, Catalonia won its autonomy back for a short time until on 18 July 1936 the Spanish Civil War was triggered by the military. Catalonia was fought on the Republican side until 1939 when the war was decided and General Franco came to power. 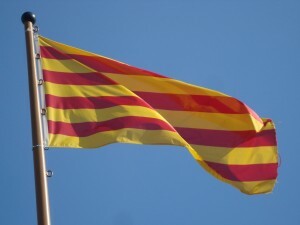 Catalonia once again lost its autonomy, the Catalan language was again prohibited and the culture suppressed. In 1975, after Franco’s death, the situation defused and in 1977 the Spanish government granted the region limited autonomy with a provisional government (” Generalitat “). The administration was gradually transmitted to the four provinces of Barcelona, Tarragona, Lleida and Girona. In 1980 the first elections to the Catalan parliament took place. Since then, many Catalans are increasingly demanding independence from the Spanish state. And…. the Catalan donkey became a symbol of the independence of Catalonia.